I returned from my travels thinking it won't be so difficult for Nigeria and Turkey to positively surprise people, as many put far too much weight on the negative issues that are well-known – crime and corruption in Nigeria, for example, or heavy-handed government in Turkey. In Turkey, visits to white goods manufacturer Beko and Turkish Airlines, the world's fastest growing airline, definitely made me go "Wow", and in Nigeria, I was saying it all the time. For four years after the crisis (2010-2013)Turkey’s GDP growth averaged 3.4% and productivity growth 8.3%. Seemingly this was more than enough for investors to ignore Turkey’s annual inflation of 7.9% over the same period. They had already dismissed the hyperinflation of 1997-2003 when inflation averaged 65% a year. Underpinning these headline statistics was a rapid inflation of private debt. There is now widespread recognition that the Global Financial Crisis was a private debt crisis. As a result most economists now recognise the role of private debt in the Turkish crisis. But the debt inflation was well underway as the MINTs were being promoted by Jim O’Neill and others. 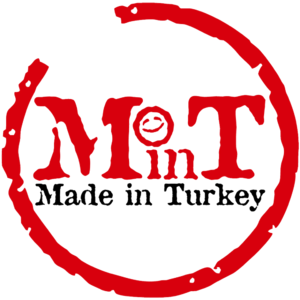 It was not a factor for those promoting the MINTS; and it did not the limit the flows of money that flooded into the Turkish economy. The chart below shows IMF figures for a narrow measure of private debt, which is used because it offers a longer time-series. A broader measure of Turkey’s total private debt was 160% of GDP in 2015 (TL 3750bn or around $1360 at 2015 exchange rate). There is a lot of talk about the role of low interest rates in expanding private debt. Trading Economics figures (below) show the rate of interest on Turkish government debt averaging around 9% until recently. Corporate borrowing includes a risk premium and therefore will be higher. Turkish lending is certainly a nice little earner for banks and investors from advanced economies, dismayed by low interest rates at home. And with lending in dollars or euros, overseas investors are protected from Turkish inflation and/or exchange devaluation. Historical truisms about EM’s high growth beta and demographic dividend are coming into question. The answers don’t lie in their monetary or fiscal policy, which, broadly speaking, remain orthodox. They are to be found in education, innovation and productivity. That hasn’t been EM’s strong suit thus far. [Bhanu Baweja, FT, 22 May 2018, ‘Pain over rising dollar belies the real challenge for emerging markets’]. And so endeth all financial speculations. A sure thing turns into a dead duck. From O’Neill to Baweja, hysteria becomes damnation. Erdogan of course thrived as the economy enjoyed the fruits of private debt inflation, but now confronts the downside. Protectionism and pastors are really a sideshow, symptoms not cause of impending debt deflation. Plainly a higher discount rate and austerity will help Turkey no more than it helped Greece. But for over a century this same medicine has been the price of financial markets’ ‘support’. We’ve been here before. Back in 1931 Beatrice Webb commented angrily on the financial and political crisis in the UK. “It is certainly a tragically comic situation that the financiers who have landed the British people in this gigantic muddle should decide who should bear the burden”. [cited by Kynaston, 1999, p. 238]. In the meantime commentators justly fret about western banks that have stakes in failing Turkish corporations. Ed Conway draws attention to Deutsche Bank research showing the UK having the biggest piece of the ‘action’ (around $30 billion). “Traders are picking off nations exposed to dollar obligations,” said Peter Rosenstreich, a currency analyst at the online bank Swissquote, pointing to Chile, Mexico, Indonesia, Russia and Malaysia among those countries with high non-bank dollar debt as a percentage of GDP. So two of the remaining three MINTS are in the firing line, among others. But the ultimate fragility of the global financial system must be about internal as well as external liabilities. The FT Lex column on the same day shows Turkish corporate $ and € liabilities combined at 35% of GDP, less than a quarter of the figure for overall Turkish private debt (in 2015). On the aggregate total measure of private debt, great swathes of the globe – advanced, emerging and low income countries – are looking very vulnerable (see private debt hyperinflations). Above all, the Turkish episode exemplifies how – in spite of the greatest economic and financial crisis since the 1930s – business-as-usual has been restored. Confronting the Great Depression 85 years ago, Roosevelt and Keynes dismantled the globalised financial market system, and led the way to a different age of global prosperity. Today, global financial markets remain broadly unchallenged by politicians. As a result, the global economy and financial system have lurched forward from one crisis to another, while workers confront insecurity, reduced wages and hollowed out public services. Two crises. Two outcomes. And next time? The narrow measure is based on ‘loans and debt securities’. The large difference between the narrow and total measures appears to be accounted for by ‘other accounts payable’; equity liabilities are not included in either measure. Keynes, J.M. ( 1973), ‘An economic analysis of unemployment’, in The General Theory and After, Part I: Preparation, Collected Writings, vol. XIII, London: Macmillan/Cambridge: Cambridge University Press, pp. 343-5. Kynaston, David, (1999), “The City Of London Volume 3: Illusions of Gold 1914 – 1945”, Random House, p. 238. Newer PostWhat Question(s) for a "People's Vote" Referendum?